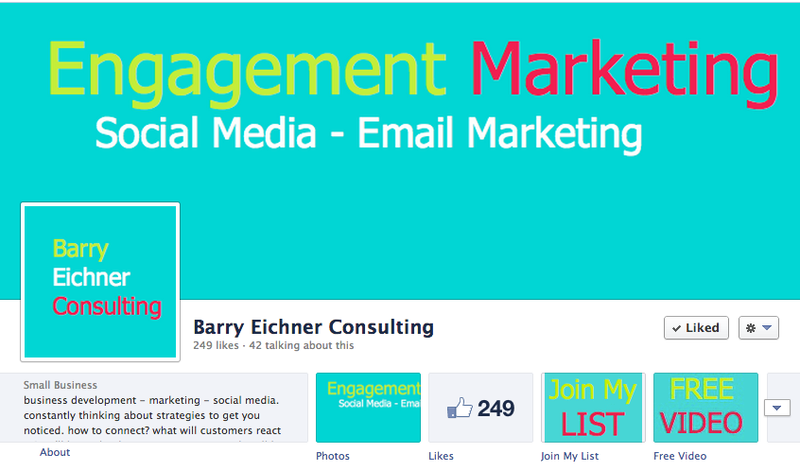 Create campaigns that provide valuable content to potential Facebook Fans in exchange for them “liking” your Facebook page.I used an introductory video in a campaign on my Facebook Fan page. 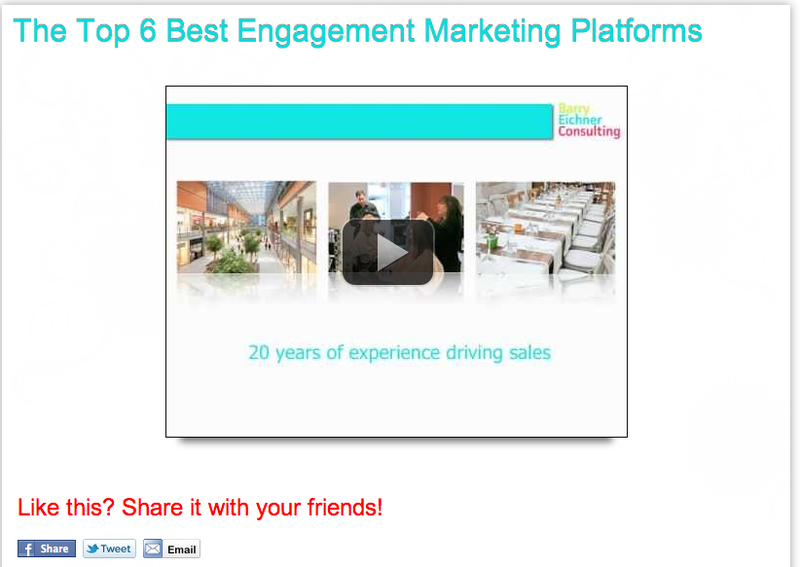 I provided a FREE video that offers the top 6 Engagement Marketing platforms. 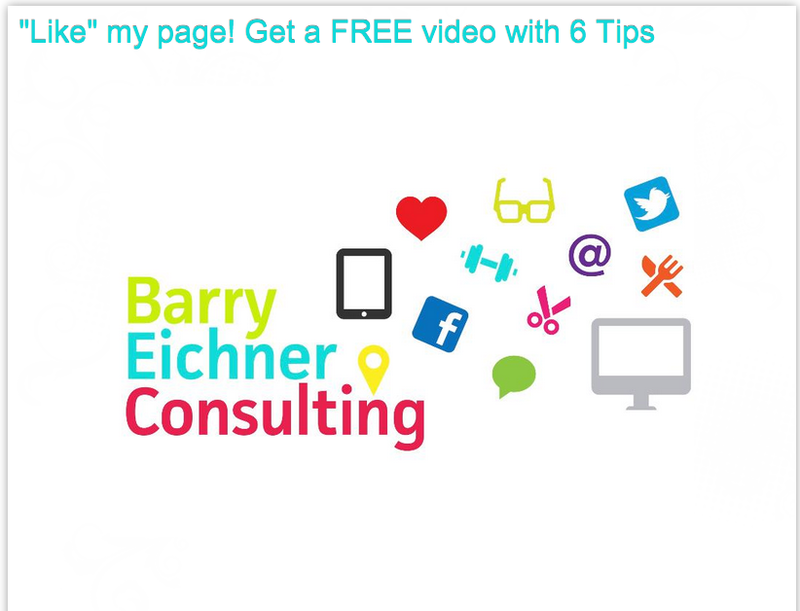 The header of my Facebook Fan page, showing the Tab of an installed application that offers a FREE VIDEO. Example of Landing Page For A Non-Fan, when someone hits the FREE VIDEO Tab. 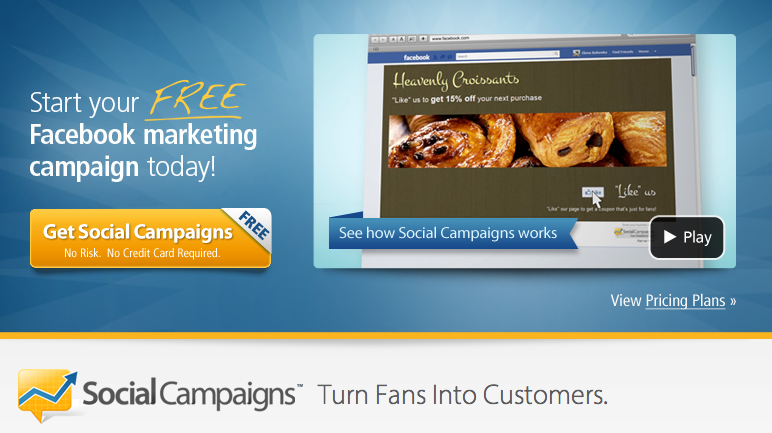 Example of what the Landing Page changes to after the “like” button is hit. Providing content to the user.